China's "Long Day's Journey Into Night" Trailer is Astonishing! The good folks at Kino Lorber released a trailer for a "Long Day's Journey Into Night" recently, and it is inspirationally gorgeous. This film is the biggest arthouse hit in the history of Chinese cinema, that speaks volumes to the films story and massively impressive cinematography. Also, it is being hailed as the best use of modern 3D filmmaking, as well as intoxicating in the face of the old school 2D and modern cinema in general. This is a lot to gloat on. However, I have to say this film looks not only insanely beautiful but fascinating on multiple levels. 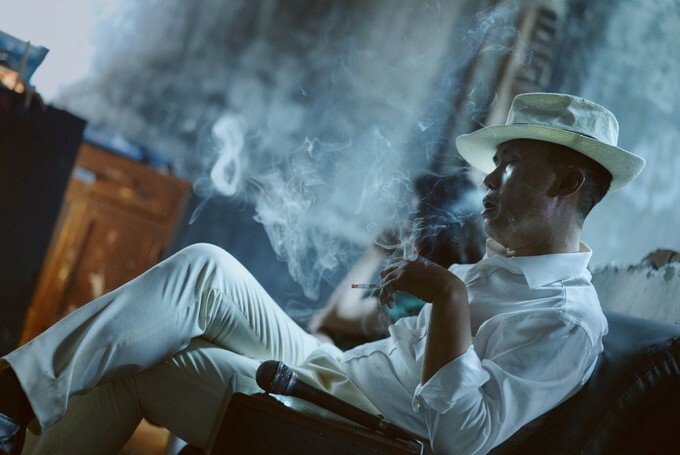 "Bi Gan follows up his knockout debut, Kaili Blues, with this noir-tinged stunner about a lost soul (Jue Huang) on a quest to find a missing woman from his past (Wei Tang, Lust, Caution). Following leads across Guizhou province, he crosses paths with a series of colorful characters, among them a prickly hairdresser played by Taiwanese superstar Sylvia Chang. When the search leads him to a dingy movie theater, the film launches into an hour-long, gravity-defying 3D sequence shot that plunges its protagonist—and us—into a labyrinthine cityscape. China's biggest arthouse hit of all time, the film took in more than 40 million dollars in its opening weekend at the domestic box office." Here is the overwhelmingly beautiful trailer for a "Long Day's Journey Into Night." 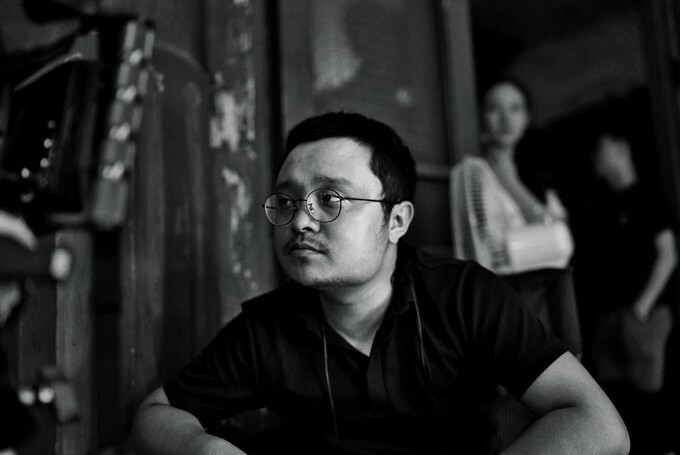 "Long Day's Journey Into Night" is written and directed by Gan Bi (directed the short films "Secret Goldfish" and "The Poet and Singer" as well as the feature film "Kaili Blues"). The cinematography is in the more than capable hands of David Chizallet ("I Am Soldier," "A Stormy Summer Night," "Kings," and "Les Anarchistes"), Jingsong Dong ("Looking for Rohmer," "The Donor," "Black Coal, Thin Ice," "11 Flowers," "People Mountain People Sea," "Sun Spots," "Mid-Afternoon Barks," Night Train," and "Uniform"), and Hung-i Yao ("Gatao 2: Rise of the King," " Take Me To The Moon," "The Village of No Return," "Secret Goldfish," "The Laundryman," "10+10," " and the documentary "How Long Is The Road"). 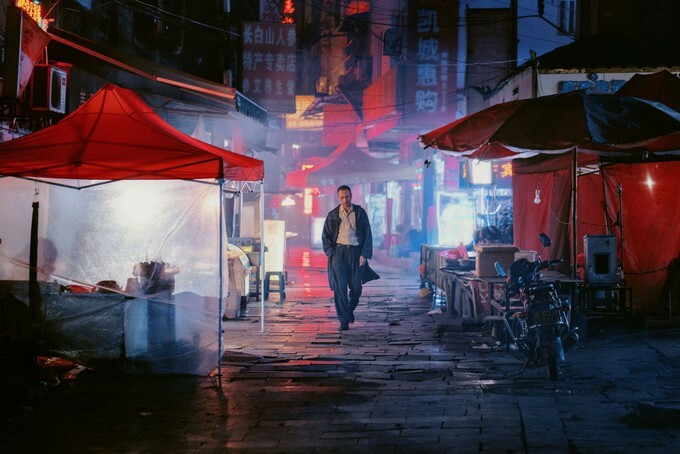 "Long Day's Journey Into Night" has contained within the film, an hour-long 3D Steadicam shot that is said to be climatically and cinematically revolutionary to filmmaking in general. I can not wait to see this. A "Long Day's Journey Into Night" stars Wei Tang ("Lust, Caution," "Blackhat," "Finding Mr. Right 1 &2," and "Design For Living"), Jue Huang ("Fallen City," "Boaber In Love," and "Falling Flowers"), Sylvia Chang ("Love Education," "20:30:40," "Tempting Heart," and "The Red Violin"), Hong-Chi Lee ("Baby," "Cities of Last Things," "Namiya," "City of Rock," and "Thanatos, Drunk"), Yongzhong Chen ("Kaili Blues" and the short film "The Poet and Singer"), Feiyang Luo (the short film "Secret Goldfish," and "Kaili Blues"), Meihuizi Zeng ("Three Husbands," "Lost In Beijing," and Purple and Blue,"), Chun-hao Tuan ("Silk," "Fancy 25," "Free As Love," "Cities of Last Things," and "A Chance To Die"), Yanmin Bi (this is her cinematic debut), Lixun Xie (), Ming Dao ("Kaili Blues"), Zezhi Long (another film debut and Zezhi was also an assistant to the director), and Xi Qi ("Bitter Flowers," "Someone to Talk To," "The New Year's Eve of Old Lee," and "Bad Sister"). A "Long Day's Journey Into Night" hits theaters on April 12th here in the USA. 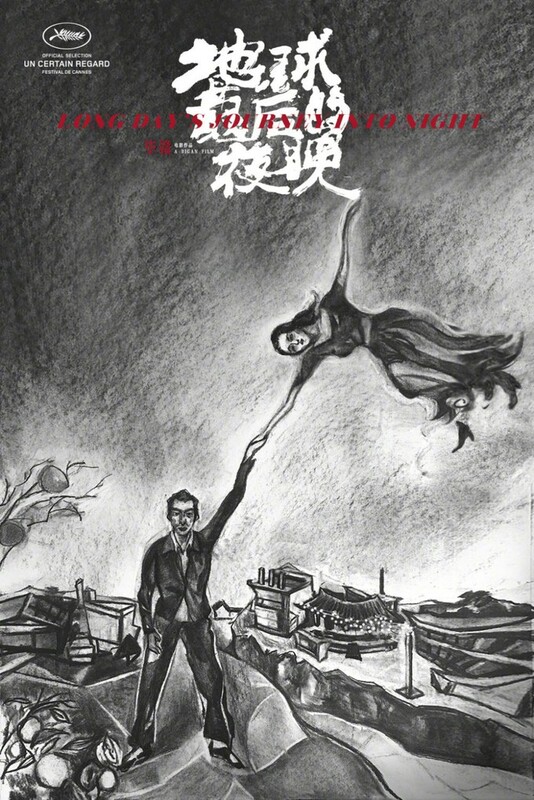 It was an epic monetarily box office hit in China for an art-house flick, and via the festival circuit. The textures and purity of colors this trailer alone captures cinematically has me there with immense anticipation, I'm hooked. How do all of you cinematic crazies out there in cyberspace feel about a "Long Day's Journey Into Night" does it have you under its spell or not?